Spotted along East Third Street. 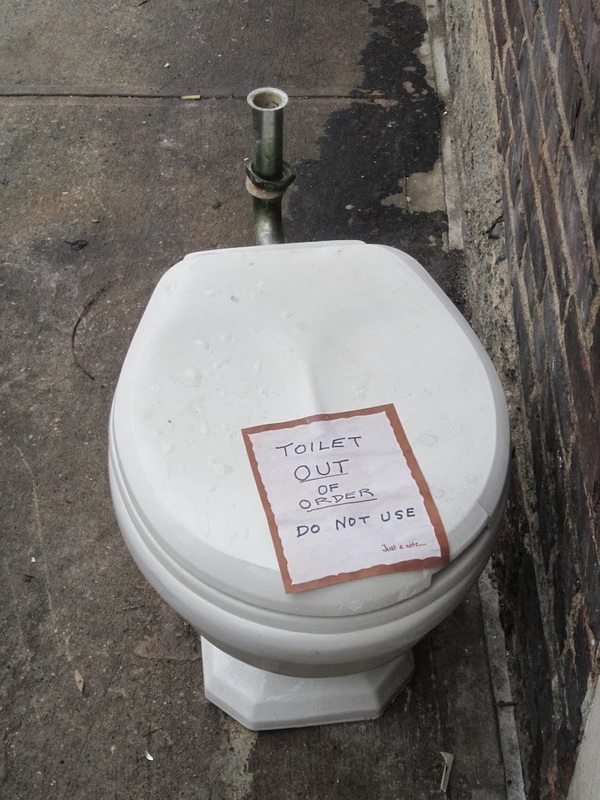 Somebody is gonna use that toilet...guaranteed. ...that is practically a dare to packs of drunken kids!